The WANTAIM project is evaluating the use of new point-of-care tests so that pregnant women can receive same-day treatment for sexually transmitted chlamydia, gonorrhoea and trichomonas infections. If untreated during pregnancy, these infections can result in preterm birth, low birth weight, and eye and lung infections in the newborn. 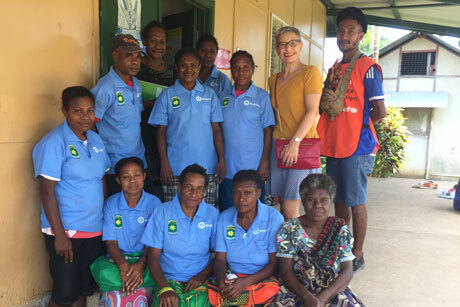 The WANTAIM project is a cluster-randomised crossover trial in Madang and East New Britain provinces. ISPM researchers Professor Nicola Low and Dianne Egli-Gany, with funding from the Swiss Programme for Research on Global Issues for Development (r4d), lead the newborn infection part of the trial. Dr. Andrew Vallely and Dr. William Pomat of the Papua New Guinea Institute of Medical Research and University of New South Wales, Australia lead the overall trial, funded by the Australian National Health and Medical Research Council and the UK Joint Global Health Trials Scheme of the Department for International Development, Medical Research Council and Wellcome Trust.